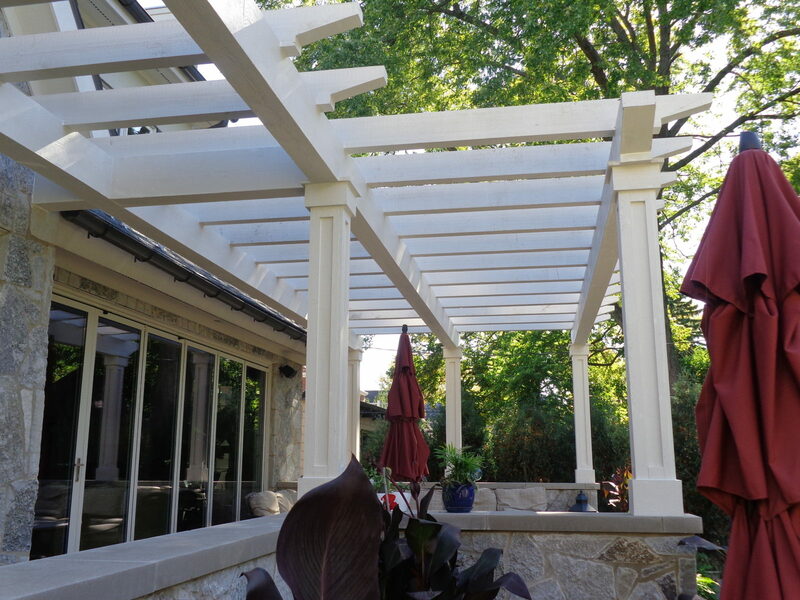 The Park Ridge Pergola is done! 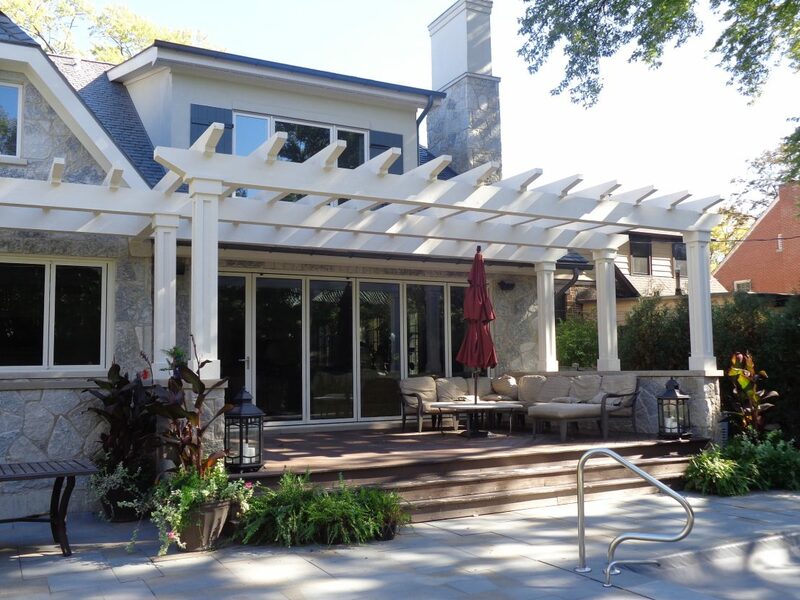 We have completed the Pergola and all the patio furniture has been moved back. 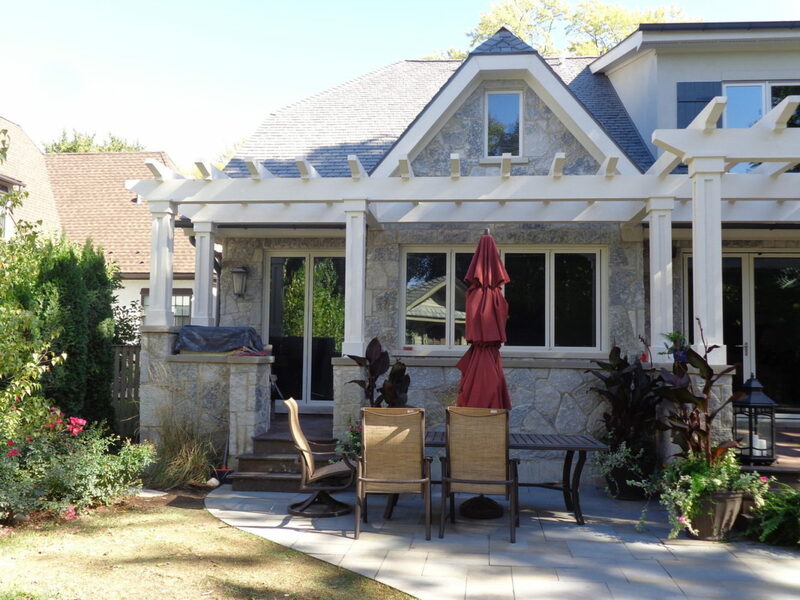 The trim on the columns is a great touch to dress up what would have been plain wood columns and add some dimensions to the pergola.